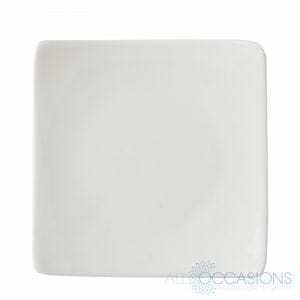 Intertwined decorative glass edge with smooth glass rounded middle. 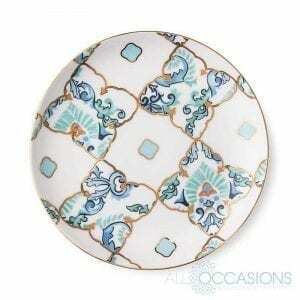 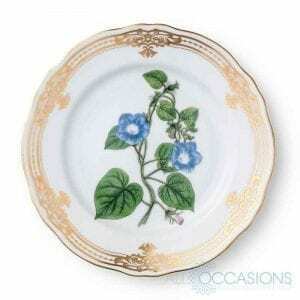 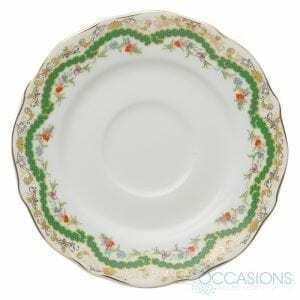 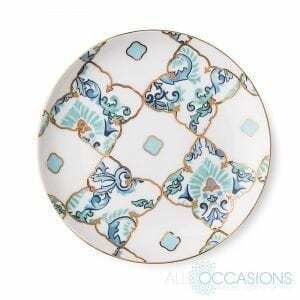 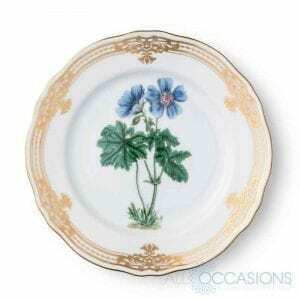 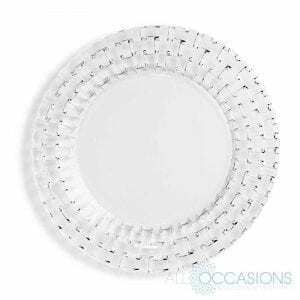 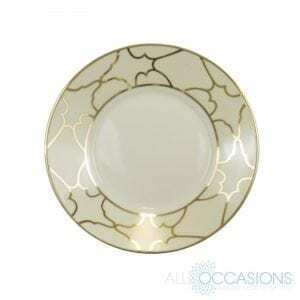 Heavy dish perfect to show off gorgeous linens underneath. 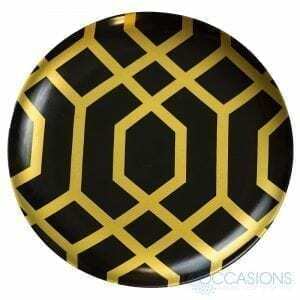 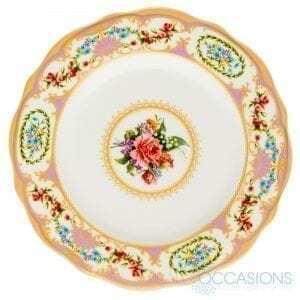 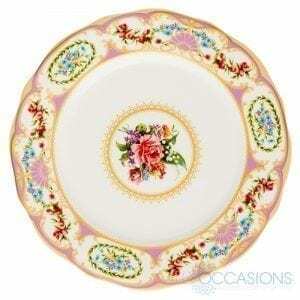 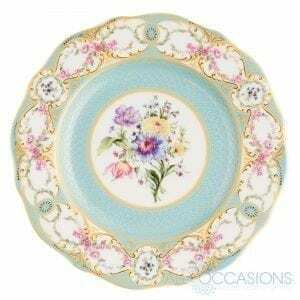 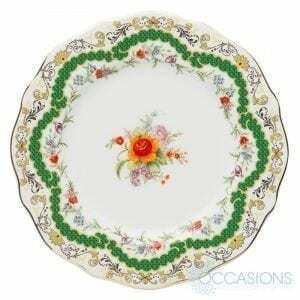 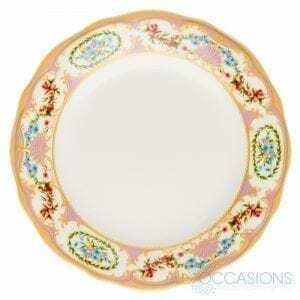 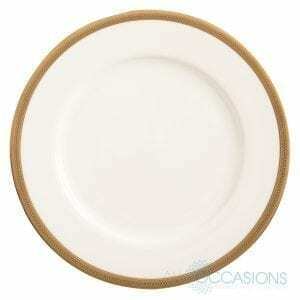 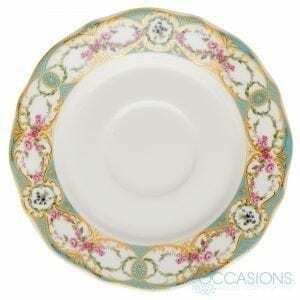 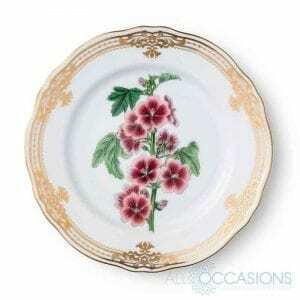 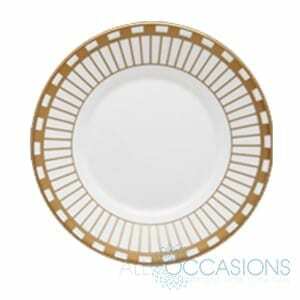 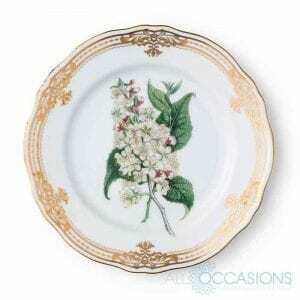 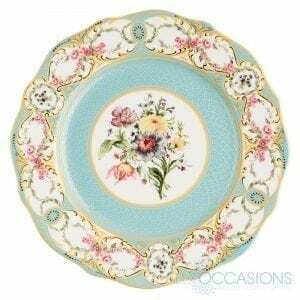 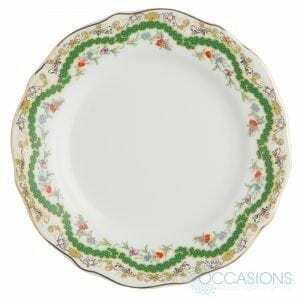 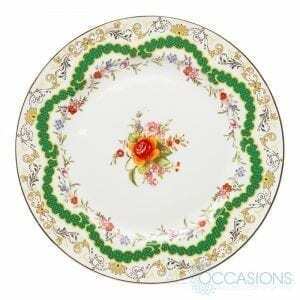 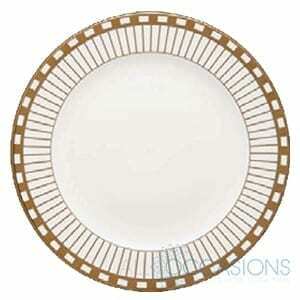 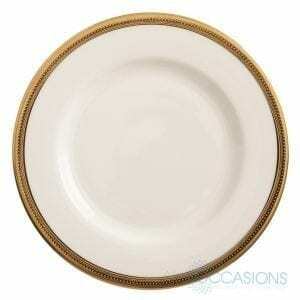 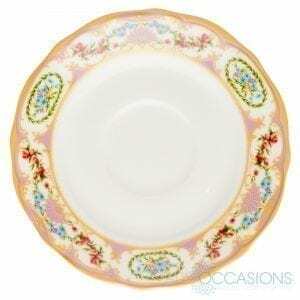 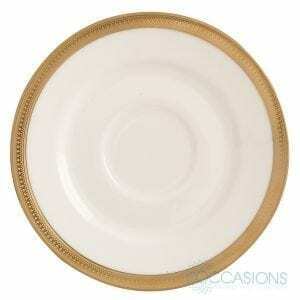 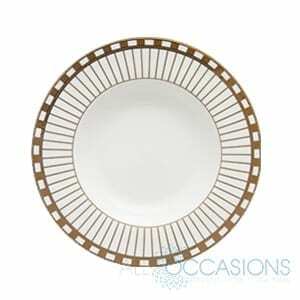 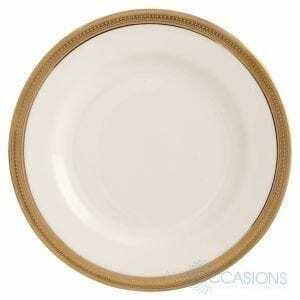 Dauphine Gold Dishware is made from bone china. 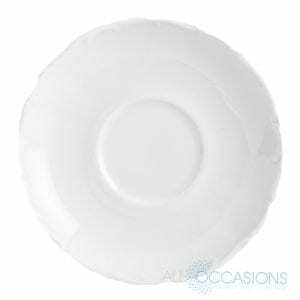 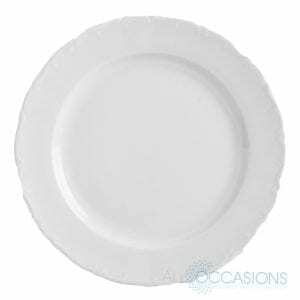 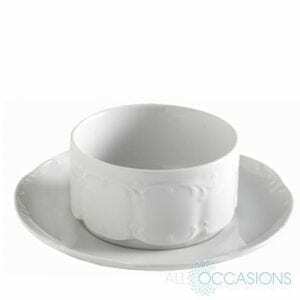 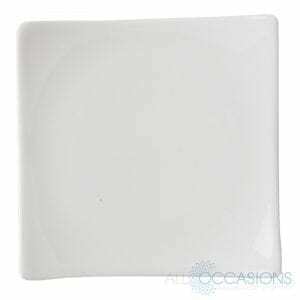 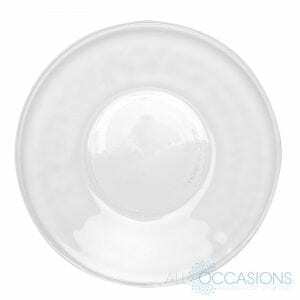 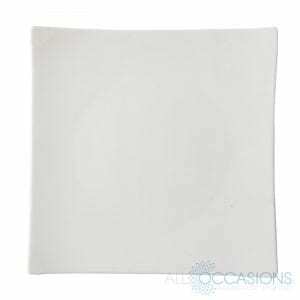 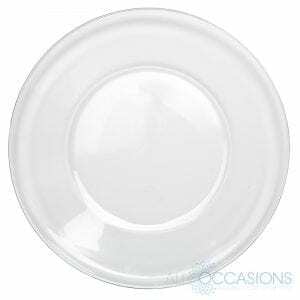 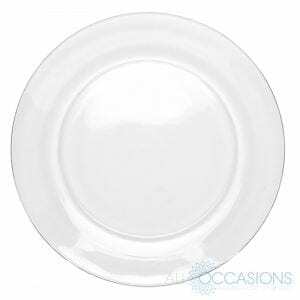 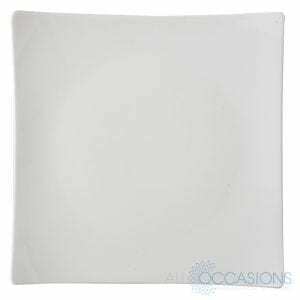 Bone china is well known for its high levels of translucency, durability and whiteness which makes it highly desirable when serving guests. 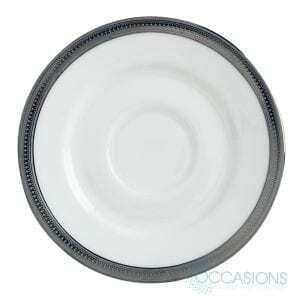 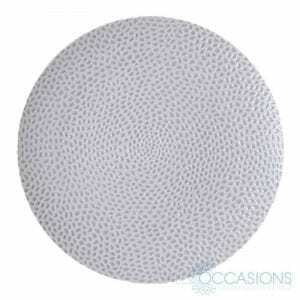 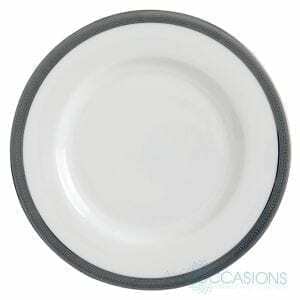 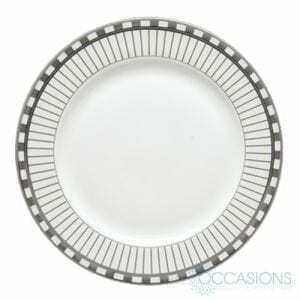 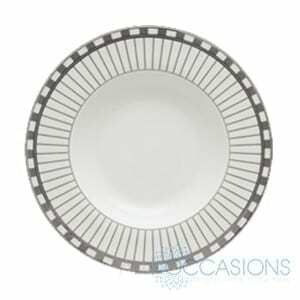 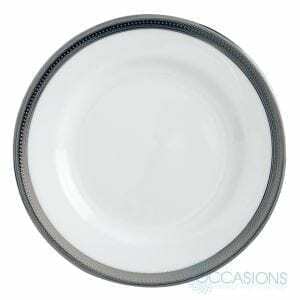 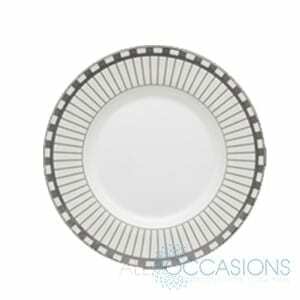 Dauphine Platinum Dishware is made from bone china. 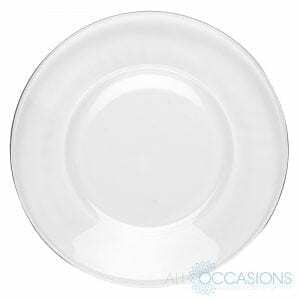 Bone china is well known for its high levels of translucency, durability and whiteness which makes it highly desirable when serving guests.